Is your HVAC system working for you? Your heating and air conditioning is vital to the comfort of your home and should work for you not against you. That is why it is so important to find an HVAC contractor in Cottage Grove you can depend on. Prescription Heating & Cooling works to get you the maintenance, repair and installation you need. Whenever you are having issues with your heating and cooling, contact our HVAC contractor and we will come out to address the problem. Our HVAC contractors know exactly what to do to help fix a heating or cooling system. They also know how to effectively and accurately troubleshoot the problem, and you should never hesitate to ask questions if you have any. We can even expertly install a new system if necessary. Whatever you need, our HVAC contractor can help! Give us a call to learn more and to set up a time for us to come out. Prescription Heating & Cooling is fully licensed, bonded and insured with decades of experience as an HVAC contractor. And, we don’t just offer repairs and new installations. 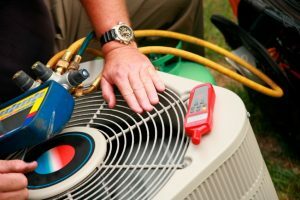 We also offer scheduled maintenance to keep your heating and air conditioning work their best all year long. 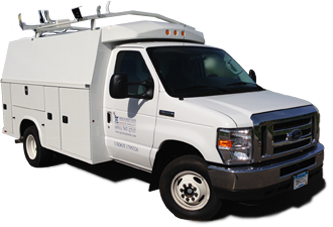 Our HVAC contractor will come to your home on a yearly basis to inspect and service your HVAC equipment. We will make any necessary repairs so you can rest easy knowing your heating and cooling systems will function as they should when you need them the most. Just give us a call to schedule your appointment and we’ll send an HVAC contractor to your home as soon as possible to make any necessary repairs or to talk to you more about the many services we offer. Do you want more information on how to hire an HVAC contractor in Cottage Grove or any of the surrounding areas? Call Prescription Heating & Cooling at 651-767-2737 or you can contact us to get a Free Estimate on a New Installation.